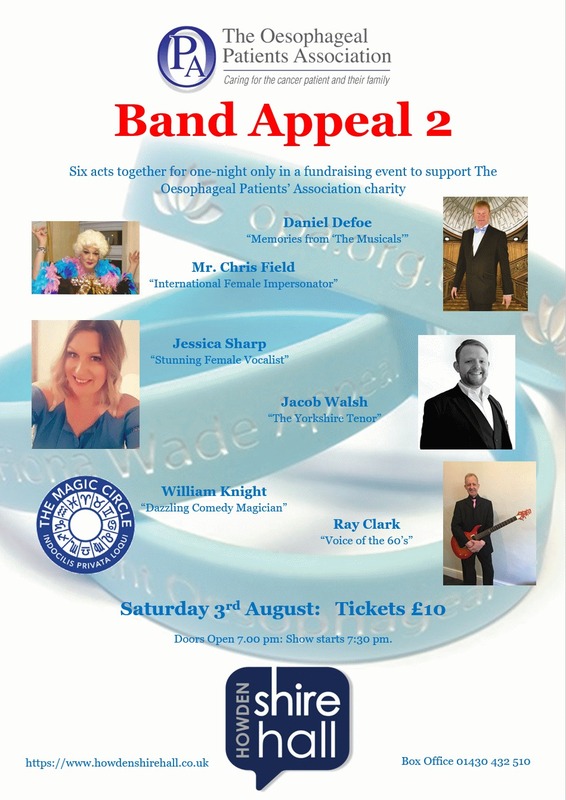 Band Appeal 2, the concert to raise awareness and funds for the Oesophageal Patients Association, run in association with the OPA and the Fiona Wade Appeal, has now been finalised for Saturday 3rd August at The Shire Hall in Howden. A new link has been added to the links page, the website of Ray's good friend and fellow musician, Dave Cooke, one time keyboard player, and close friend, of the global superstar, Sir Cliff Richard. Topline is a new music discovery and licencing platform. Please visit the page and have some fun. The contract with Damnation/Caliburn Press for Book 1 of the IMP series, Impurity has now expired and is no longer available at the present time. Ray is now negotiating a new contract with a British publisher for the novel to be republished and repackaged later in the year. Please keep checking the site for details of any updates. Implant: The Waiting Room – Live is expected to be finished around the middle of March. A selection of creepy stills is available on the gallery page. The Screencraft Cinematic Short Story Awards in the United States has contacted Ray to confirm his entry, Lost & Found has made the semi-final stages. The story pays homage to the producer of the Twilight Zone, Rod Serling (Click here for a taster). Please keep checking the site for details of any updates. Ryder On The Storm is in the finishing stages and awaiting proof copies. The novella is planned for release during the first two weeks of April (Click here for synopsis). Please keep checking the site for details of any updates. The filming of Implant: The Waiting Room – Live went very well over the weekend of the 25th – 28th January. Edge Waes are looking to the beginning of March for a finished product. A selection of creepy stills is available on the Implant: The Waiting Room - Live gallery page: Click here. The Screencraft Cinematic Short Story Awards in the U.S. have contacted Ray to say that one of his short stories has made the quarterfinal stages. The author is remaining tight-lipped as to which short story it is. Please keep checking the site for details of any updates. Ray would like to wish every visitor to the site (old and new) a very happy new year. 2019 is set to be a bumper year. The end of January should see the completion of the filming of Implant: The Waiting Room – Live. Another month in the editing suite and viewers should be able to see the finished product around the beginning of March. Various awards for the book are in place: the Eric Hoffer Award in the U.S. for best crime novel award, the Screencraft Cinematic Book Awards for best novel to film transfer, the International Thriller Writers (ITW) award for best crime novel, and the CWA award for best crime novel. Please keep checking the site for details of any update. Ryder On The Storm is the new novella from Ray and will be published on April 1st: a terrifying ghost story based on a true event and featuring one of the characters from the IMP series. Please keep checking the site for a detailed synopsis and the promotional trailer, which is also being filmed and edited in January and February. January 1st also sees Ray writing a brand new cross genre novel entitled, Spirit - more details to follow. October was a bumper month for Implant, as it was entered into the Eric Hoffer Award in the U.S. for best crime novel, the Screencraft Cinematic Book Awards for best novel to film transfer, the International Thriller Writers (ITW) award for best crime novel, and the CWA award for best crime novel. That's a lot of fingers to cross. October 6th saw the concert for the OPA at the Junction in Goole, to raise funds and awareness for the Fiona Wade Appeal. The concert was a huge success and plans for the next one are now underway: a full review and photos, along with the final total raised can be found on the charity page of the site or the link in the October update below. Keep checking the site for the details of the new and upcoming novella, Ryder On The Storm, out early 2019.